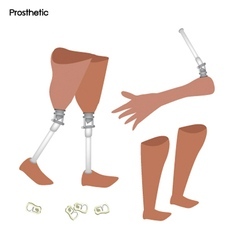 A prosthetic device or prosthesis is an artificial device replacing a limb that may have been lost through trauma, disease, or congenital conditions. There are two types of prosthetics, upper extremity and lower extremity. 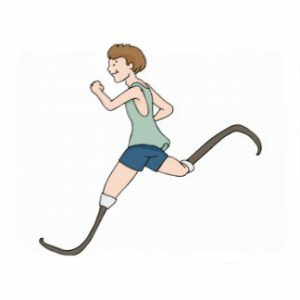 Adjusting to a prosthesis can be difficult, frustrating, and overwhelming. It is a process that involves a prosthetist and an inter-disciplinary team of healthcare professionals including your physician and both physical and occupational therapists. Our goal is to make the transition to having a prosthesis a smooth and enjoyable one. Both of our certified Prosthetists utilize there 20+ years of experience to deliver the best experience available for new and veteran amputees. We focus on the details to ensure that your prosthesis fits comfortably and feels natural. Our staff works with your physician and insurance provider to keep you living the lifestyle you love. At ABLE we offer pre-amputation counseling and evaluations, as well as immediate post-surgical care and fittings. Also, we sponsor an Amputee Support Group that has monthly meetings for amputees to share their story and meet others with similar experiences. It is important to see your Prosthetist regularly and to notify them if you experience any discomfort or pain. We will be happy to give you an evaluation and make any adjustments necessary. For more information on Prosthetic care click here.